The ultraGTS system is a unique three stage process and utilises a combination of biological treatment, advanced membrane filtration followed by Ultra Violet Disinfection. No Harmful Chemicals or Flocculants are used. How was the ultraGTS tested? The ultraGTS was manufactured and tested under a full Quality System at arm's length and under the auspices of SAI Global over a period of nine months. The ultraGTS is a Certified Product under StandardMark, License # SMKH21738. 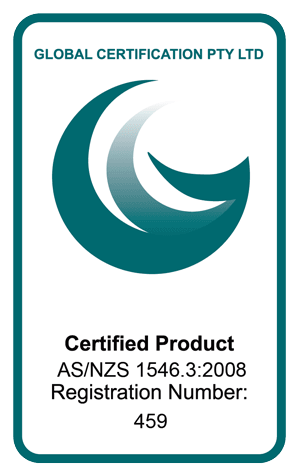 The ultraGTS is fully approved by the NSW Department of Health, Victorian EPA, SA EPA & Goulburn Murray Water. Where is the ultraGTS made? The ultraGTS is designed, tested and manufactured in Albury, Australia. How much power does the ultraGTS consume? The ultraGTS uses approximately 1 kWh of Electricity to treat 1,000 of water or around 0.2 amps. How fast does the ultraGTS process the Greywater? The ultraGTS processes the Greywater at approximately 2 Litres per Minute. What Chemicals are used in the ultraGTS? No Chemicals are used in the ultraGTS to treat the Greywater. 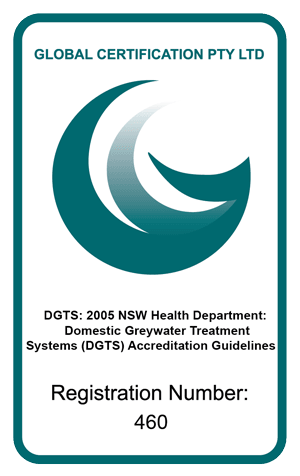 There is no odour from the ultraGTS Greywater Treatment System under normal operating conditions. How much does the ultraGTS weigh? The ultraGTS weighs approximately 60kgs. The ultraGTS is very compact with the treatment tank dimensions of only 850 mm wide x 950 mm high x 350 mm depth and the motor box dimensions of 500 mm wide x 400 mm high x 200 mm depth. The ultraGTS can be fitted inside most pontoons or on deck. Can the ultraGTS be retrofitted? Yes, the ultraGTS is very compact and well suited to being retrofitted onto existing boats. Yes, the ultraGTS is extremely easy to fit and comes nearly completely assembled ready for installation. Once installed the system will need to be commissioned and certified by one of our representatives. Commissioning documentation is forwarded to GMW for vessel certification. What are the Maintenance requirements for the ultraGTS? The ultraGTS will require maintenance twice per year. This will be carried out by a trained service technician. Does the ultraGTS backwash into the Blackwater holding tanks. No, the ultraGTS does not back flush into the Blackwater holding tanks as part of the treatment process. Eventually, the treatment unit will need partial emptying of excess sludge and this will be carried out at maintenance time. Is there any user interaction required? No, the ultraGTS is fully automatic with no user interaction required. The system is self-monitoring and comes with a full remote Alarm Panel. There is a close down procedure for periods of long inactivity. 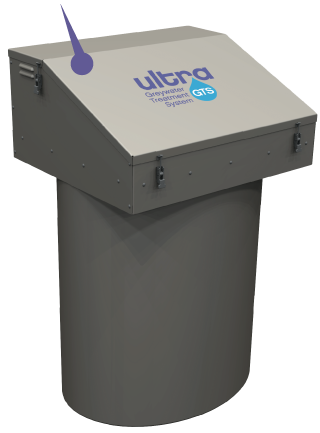 The ultraGTS is an ultra modern state of the art Greywater Treatment System employing the latest in Membrane Technology and UV Disinfection. A compact Membrane Bio Reactor the ultraGTS utilises a combination of biological treatment and advanced membrane filtration followed by Ultra Violet Disinfection. Greywater enters the system via an in ground collection sump and is then automatically dosed into the system. After advanced treatment the recycled water is stored in a re-use tank ready for use at your pleasure. The ultraGTS can be connected in Modular form treating up to 5,000 litres per day. 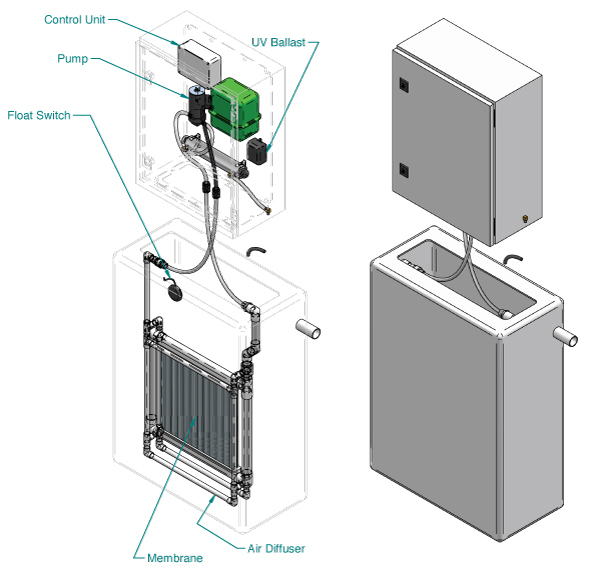 Larger systems are designed specifically for the installation. Whether it be a School, Golf Course, Hotel or entire Apartment Block we can design a ultraGTS to suit your needs.